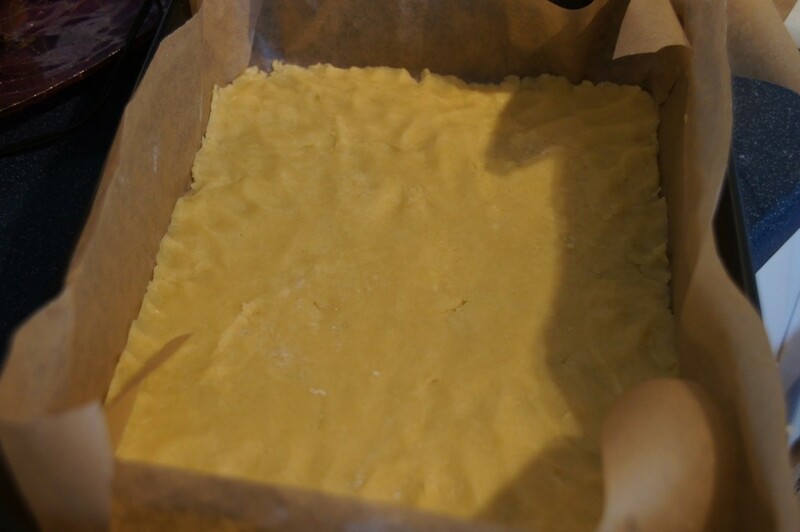 1) Heat the oven to 180C/Fan 160C/Gas 4 and line the base of a brownie tin approximately 20cm x 30cm (I used a roasting tin slightly larger than this and it was fine). 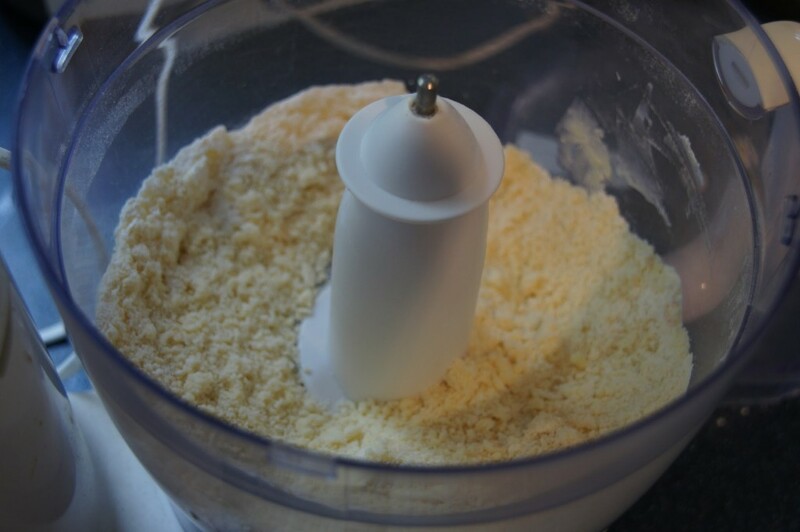 In a food processor whizz together the butter, sugar and flour until it resembles fine breadcrumbs. 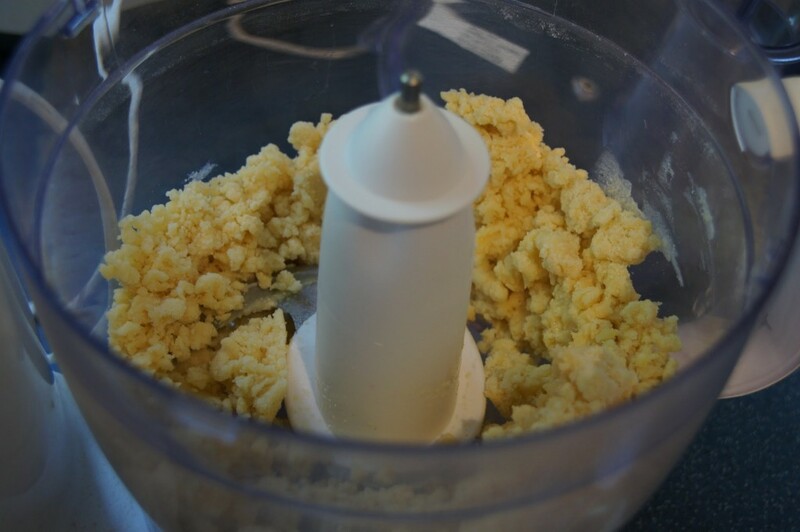 Add the egg and whizz until it looks like coarse breadcrumbs. 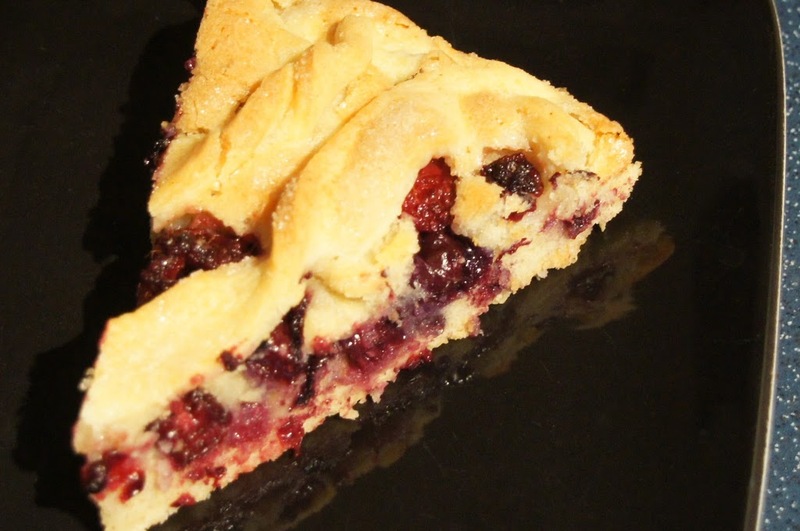 Chill the pastry base while you make the filling. 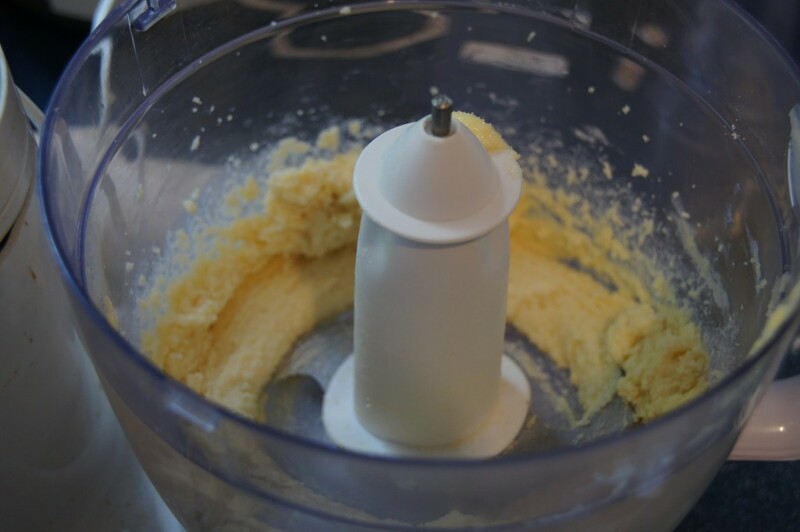 2) Whizz the butter and sugar in a food processor until combined. 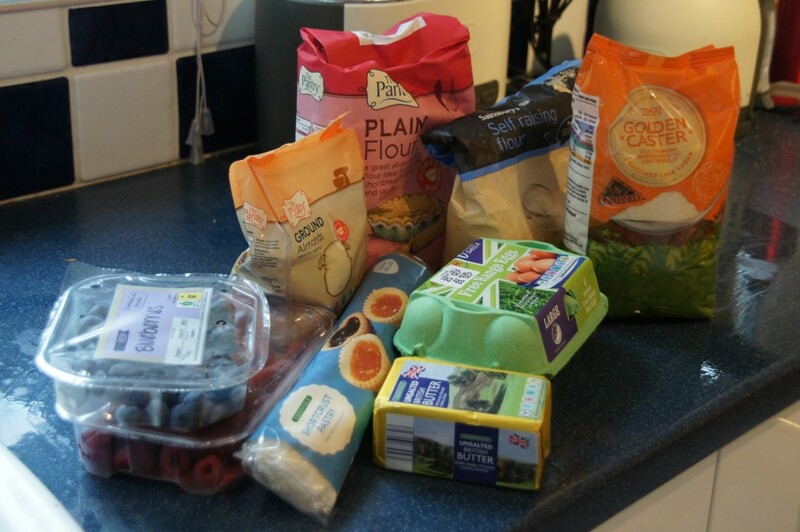 Add the ground almonds, eggs and flour until smooth. Pour over the base and spread with the back of a spoon. 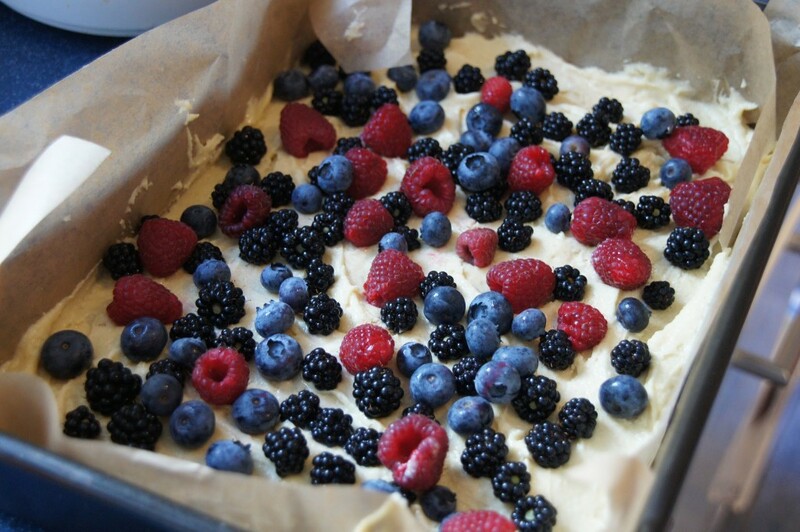 3) Scatter over the mixed berries to cover the top. 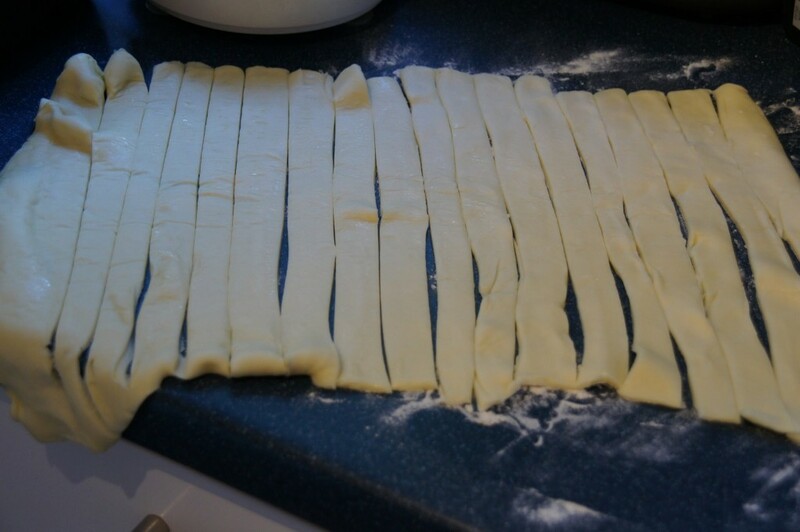 4) On a lightly dusted surface unroll the pastry and cut into 18 lengths (short strips rather than long). Arrange half, spaced out on top of the fruit, twisting each strand on the diagonal. Then repeat with the remaining lengths but in the opposite direction. 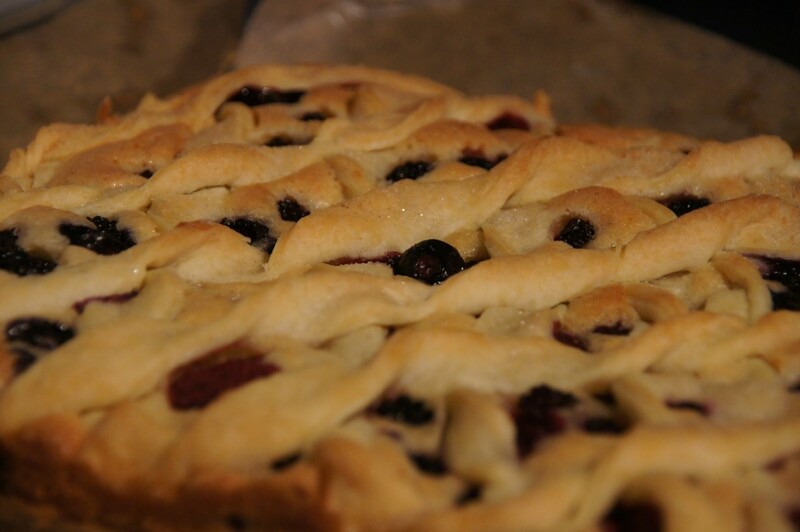 Trim the overhanging pastry. Sprinkle with extra sugar, about 2 tablespoons. 5) Bake for 40 minutes until light golden. Cool a little before removing from the tin. Serve warm.